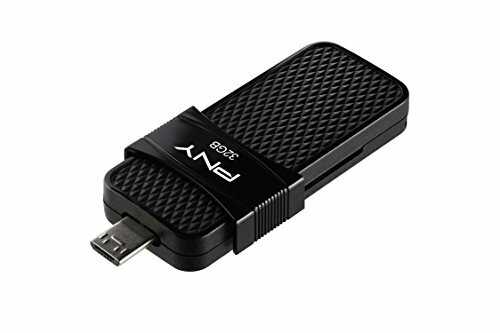 Free up space on your Android smartphone and/or tablet with PNY Duo link OTG 32GB micro USB. Offering transfer speed up to 130MB/s, it is the ideal solution to store photos, videos and more. The modern and lightweight design allows users to switch between the micro USB and USB Type-A connectors. Simply “squeeze” the sides of the Slider and move it side-to-side to reveal either the micro USB or the Type-A connector. The housing is textured for a modern look and it offers ridges on the sides of the Slider for a better grip when opening and closing the drive. Spend less time worrying about running out of space on your mobile device and more time making new memories.